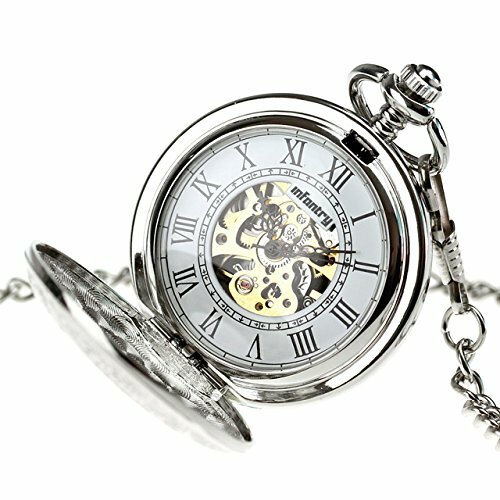 INFANTRY Mens Silver Pocket Watch Wind up Mechanical Pocket Watches for Men with Chain by Infantry at Mas Fashion. MPN: US-PX-012-S-02. Hurry! Limited time offer. Offer valid only while supplies last.